City of Tonawanda's Mobile App is now available! Gateway of the Tonawandas Concert Survey! Overnight Parking Rule begins October 1st. Concept Plan for Riverwalk villas presented to the planning board. Niawanda Pavilion Reservations can now be made online on the Parks webpage: Niawanda Pavilion section. Agreement with David Homes on new housing behind Fletcher Street. Click here for agreement. This is the proposed layout from David Homes for the homes at the Little League Development. 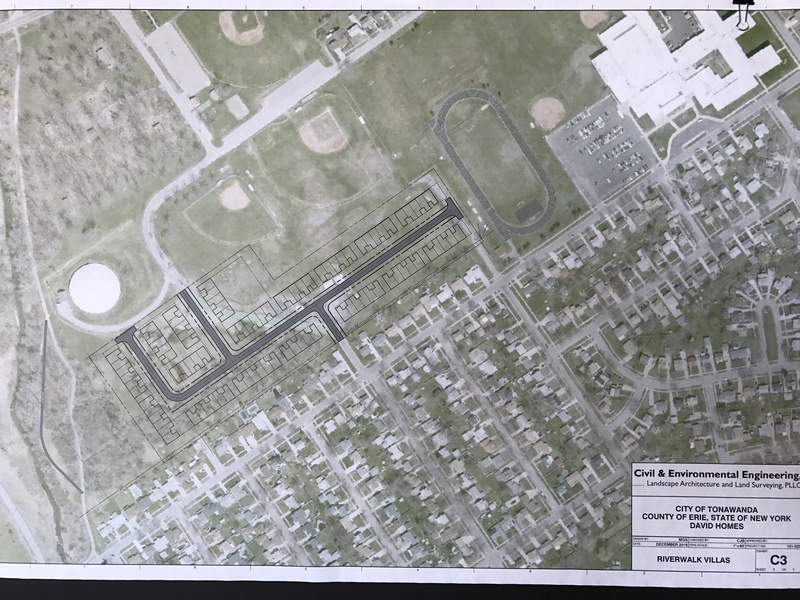 Disclaimer: this plan may change once David Homes goes through the proper procedures as it pertains to the Planning Board and any variances that may or may not be necessary. Proposed budget for 2017 is available on the City Treasurer's webpage. City of Tonawanda has new email addresses for all departments. Please check each page to update your address book.